According to recent Work and Well-Being Survey by the American Psychological Association, less than half (47 percent) of employees said their employers regularly seek input from them. Even fewer (37 percent) said the organization makes changes based on that feedback. No wonder as a result almost half of the people said they do not feel valued at work. Employee progress reports are a great way to solicit regular feedback. Becoming a better leader with the help of employee progress reports. You said what? When we started Weekdone, one of our goals was to enable you to become a better manager and leader for your team (you can still sign up for our leadership academy newsletter). Big part of that is knowing what your employees are doing or planning and then giving constant managerial feedback and guidance on that. The times of employee performance appraisals or any performance management happening just annually or even quarterly are over. You have to do it constantly. And remember it's a 2-way communication between you and your people. One of the biggest problems for people who fill in various employee performance reports or status reports is feeling that data is being sucked into a black hole. There is no response from you, the manager. Even such a small thing as notifying the employee you have read his or her report and saying "Good job!" or "Well done!" weekly means a lot for a person. 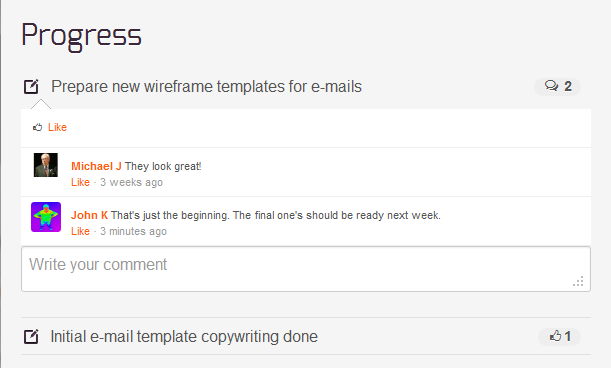 A service like Weekdone allows you to do that in seconds. As managers, we all lack time. That is no reason for not seek input from employees and give them feedback. We just have to use the right tools that save time, make collecting and giving feedback quick and easy and use a structured process. Standardize on best practice weekly reporting templates for employee progress reports. 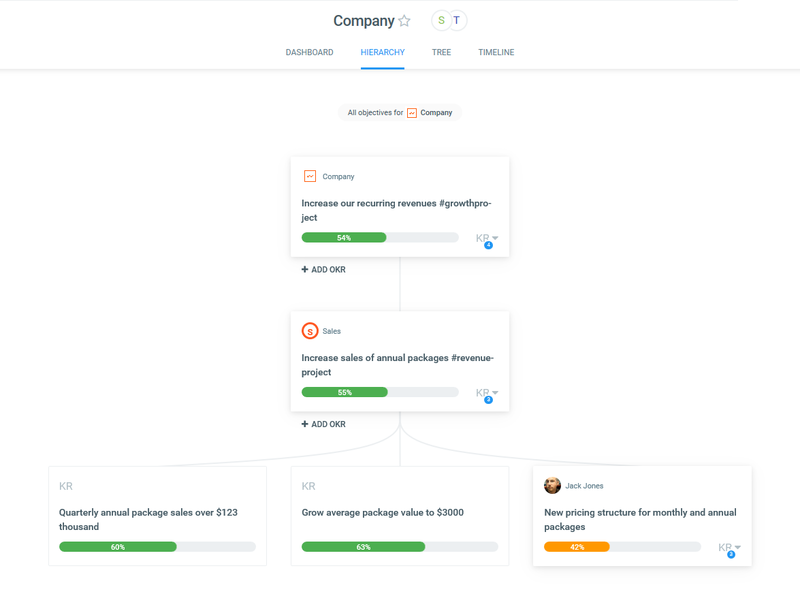 Automate the process of weekly status report reminders, so you as a manager don't have to chase people. Making it fast and simple to review and comment each person's plans, progress and problems weekly. Seek feedback and communicate to the whole team and company. 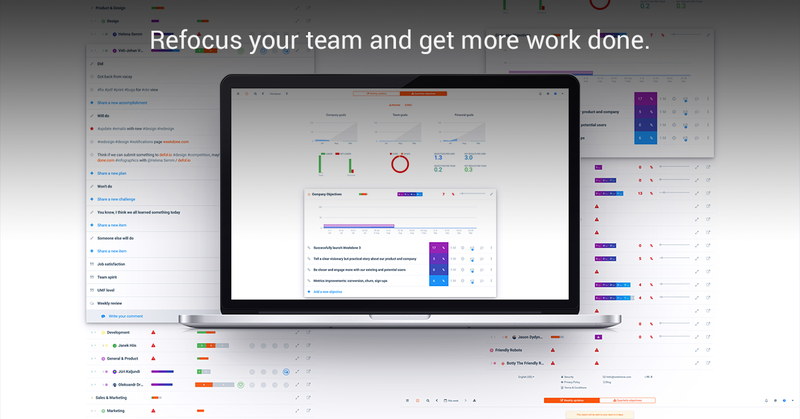 Customize the employee progress report to fit your needs. Implementing Weekdone is instant. Just sign up for our free trial, invite employees and you're all done. Already in less than a week you'll get your first structured employee progress report via e-mail from your people, one that you can quickly give feedback on. Go and make your people valued at work. Remember to follow us on Twitter, Google+ and Facebook for all about employee status report, weekly status report, employee progress report and more!